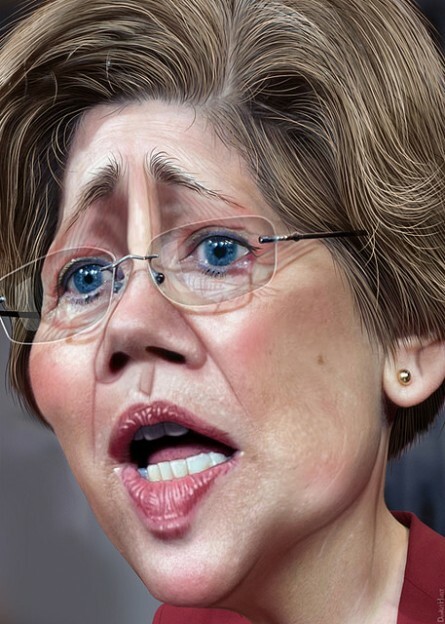 In a report published Tuesday night, just ahead President Trump’s State of the Union, the Washington Post discovered a document where 2020 Democratic presidential contender and Massachusetts Senator Elizabeth Warren, who was exposed by a DNA test that backfired late last year for having a negligible amount of Native American heritage, listed her race as “American Indian” on a registration card for the Texas State Bar in the mid-1980s. 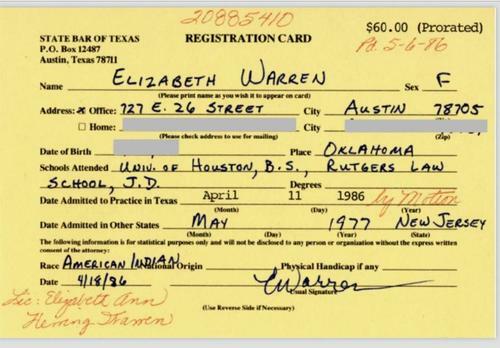 The registration card lists Warren’s biographical information for the University of Texas law school in Austin, where she was working at the time. On the line for “race,” Warren wrote: “American Indian.” It’s noteworthy that lines for “National Origin” and “Physical handicap” were left blank. GOP spokeswoman Kayleigh McEnany tweeted on February 6 that she had been blocked from her Instagram account.